HOBBY SUPPLIES "Australia" is the factory appointed Exclusive Australian Distributor for CMB Motori Italia. The full range of CMB Marine Engines, Tuned Pipes, Spare Parts and Accessories are always in stock. CMB Motori Italia are world leaders in Performance Model Marine Engines and well known for their powerful, strong and reliable engines with high quality Italian craftsmanship. CMB Engines were the most used engines at the 2012 World Championships in Italy and powered all eleven oval class Winners !!!. Over the past 30 years CMB has won over 100 World Championship Titles and set many World Speed Records. CMB only manufacture High End Competition Race Engines to enable our customers success at any level of competition. The latest range of performance CMB Engines feature many new technical advances to keep you in the winners circle this season. New 2018 model is fitted with a new design Piston/Liner offering more torque and RPM, new Crankcase, new CNC billet drum housing plus billet Carburetor with Low End Needle Valve. 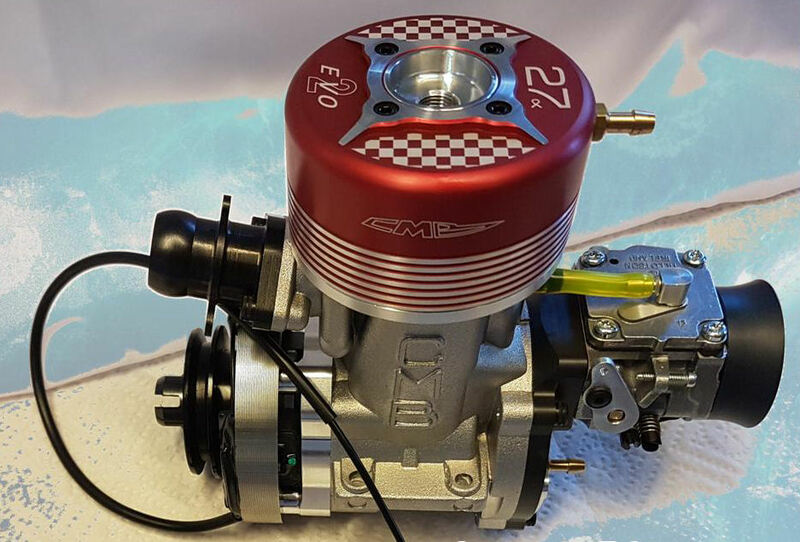 The new .21 Beta EVO engine has been designed for circuit racing boats with nitro fuel. 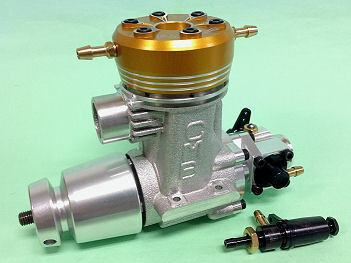 The latest model features a new re-designed crankcase with larger boost and transfer ports and new design Piston/Liner. Large bore drum valve intake with bronze bushed housing, single plug head, separate bolt on Carburetor and R/C 3rd channel remote main needle valve. New 2018 version .45RS EVO H/O engine features new wider crankcase but same bolt position as older RS version, new even stronger crankshaft, new design 5 port multi exhaust port piston/sleeve and new head button. The new .45 RS EVO H/O crankshaft design offers greater stability at high RPM plus the crankshaft is supported by twin ball bearings. Also features a steel conrod with needle bearing big end and Zimmerman disk intake with increased section in central area. 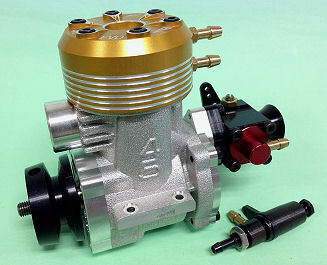 Includes a bolt on Carburetor with remote needle valve and new Gold anodised double water cooling head. CMB's CAM Style Drum is "BACK" now with longer stroke and even more power. New 2017 version .45 V5 engine features new balanced crankshaft and drum rotor, new design 5 port multi exhaust port piston/sleeve and new head button. New 2018 CMB 67HR EVO engine comes with a new 8 port liner, new crankcase and blue water jacket. 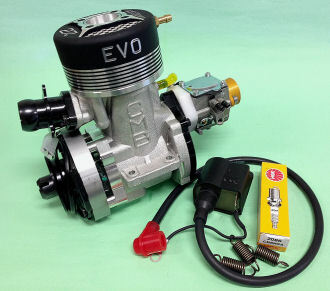 The new 67HR EVO engine has been designed for circuit racing boats with nitro fuel for high RPM. The latest model features a new 8 port piston/liner, new crankcase with re-designed boost and transfer ports. 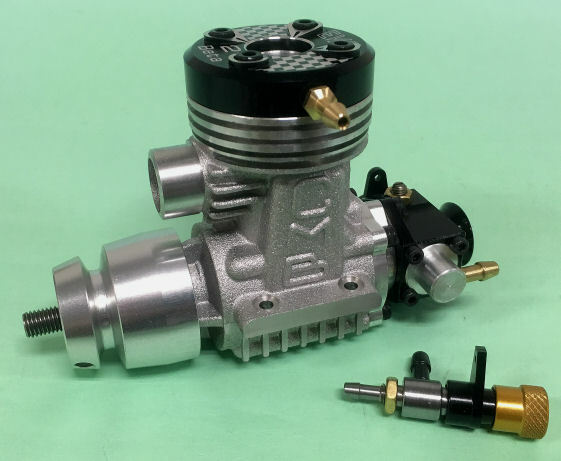 New 2018 model is fitted with a new design Piston/Liner offering more torque and RPM, new CNC billet drum housing plus billet 12mm Carburetor with Low End Needle Valve. The .80HR engine has been designed for circuit racing boats with nitro fuel. The latest model features a new re-designed crankcase with larger boost and transfer ports and a new design Piston/Liner. 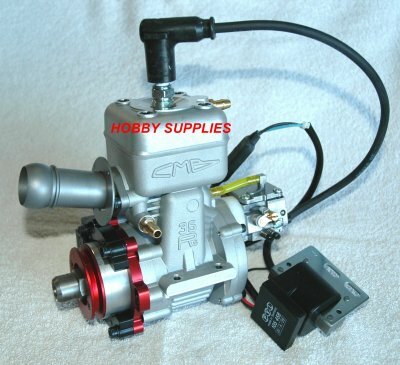 Also includes a steel conrod with needle roller big end bearing, large bore drum valve intake with bronze bushed housing, single plug head, bolt on Carburetor and R/C 3rd channel remote main needle valve. All NEW CMB 91RS EVO engine has a new Piston/Liner with 3 exhaust ports and 5 inlet ports, larger OD Liner and Flat top piston. New Crankcase, Crankshaft, Front housing, Gold Water Jacket with 4 bolts and 13mm Carb. with Low End Needle Valve. The new .91RS EVO marine engine features a new crankshaft supported by twin ball bearings for greater stability at higher RPM. Also features a new ABC Liner, modified cylinder porting, 3 exhaust ports and 5 inlet ports, improved transfer and boost ports. 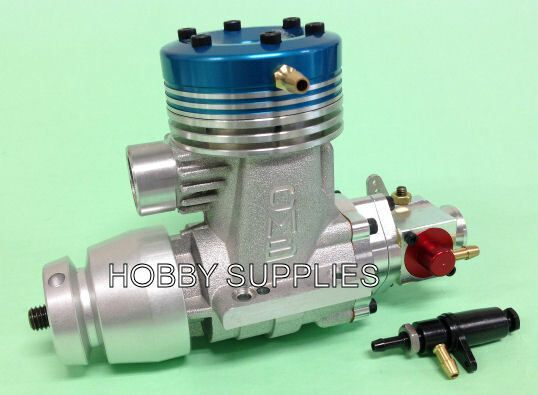 Also features double fixed crankshaft with two bearings, steel conrod with needle bearings, thin Zimmerman disk intake with increased section in central area, double water cooling chamber for better cooling, single plug head, bolt on Carburetor and R/C 3rd channel remote main needle valve. VERY limited production so get in quick. All NEW CMB 1.01RS EVO engine has a new Piston/Liner with 3 exhaust ports and 5 inlet ports, larger OD Liner and Flat top piston. New Crankcase, Crankshaft, Front housing, Gold Water Jacket with 4 bolts and 13mm Carb. 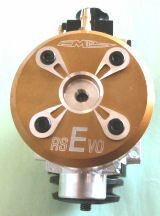 with Low End Needle Valve. The new 1.01RS EVO H/O marine engine features a new crankshaft supported by twin ball bearings for greater stability at higher RPM. Also features a new ABC Liner, modified cylinder porting, 3 exhaust ports and 5 inlet ports, improved transfer and boost ports. 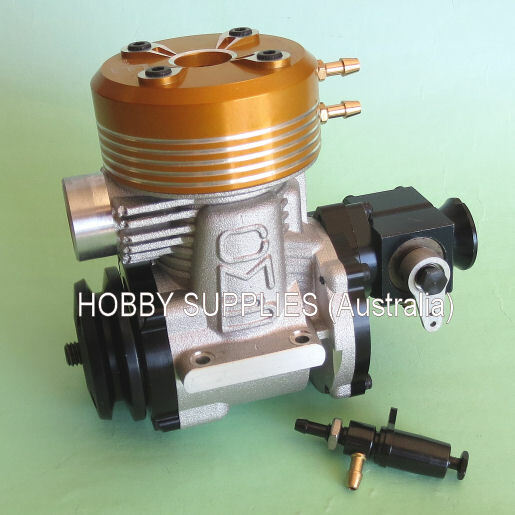 Also features double fixed crankshaft with two bearings, steel conrod with needle bearings, thin Zimmerman disk intake with increased section in central area, double water cooling chamber for better cooling, single plug head, bolt on Carburetor and R/C 3rd channel remote main needle valve. New 2017 version 27 Alpha EVO engine features the latest version stronger crankshaft with steel big end bearing, new design piston/sleeve, new head button and new Tillotson carburetor. CMB designed the new 27cc gasoline engine from the ground up using the latest in 2 stroke technology and manufacturing processes. Features a removable Hard Chrome plated Brass Sleeve with light weight Aluminium Piston and Ring, Zimmerman disk valve induction,15mm barrel style carburetor, Separate head button, High volume black anodised water jacket, Magneto ignition system with separate high tension coil, Adjustable angle exhaust header and belt start pulley. 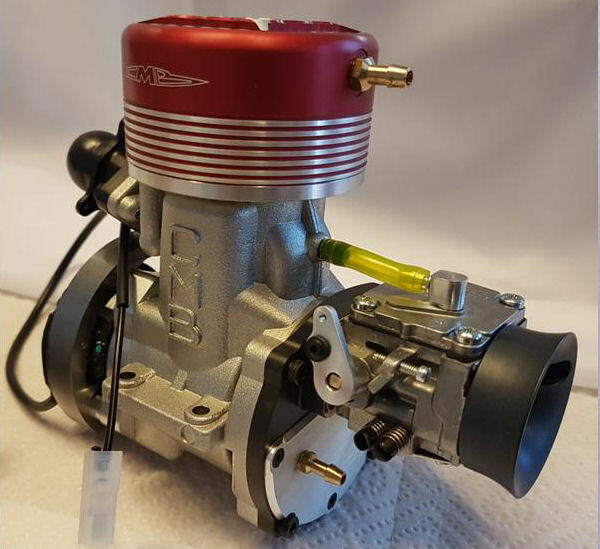 New 2019 version 27 Alpha EVO2 engine features the latest version crankshaft, new design piston/sleeve, new head button, new water cooled backplate and new carburetor. The 35RS 2018 marine engine is the big brother to the 91/101 RS engines. Featuring twin ball bearings for greater stability at high RPM, ringed piston and chromed brass Liner, large transfer and boost ports, Walbro big bore carburetor, steel conrod with needle bearings and Zimmerman disk intake. Package includes Engine with ignition system and exhaust header. 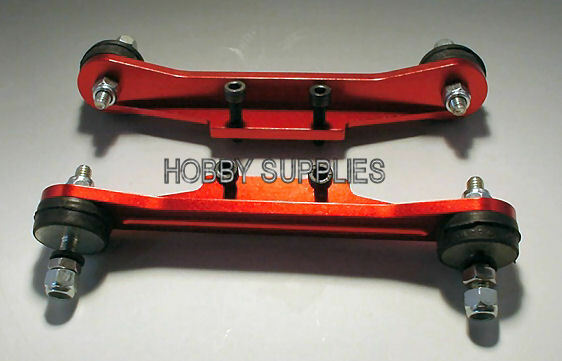 Available to suit CMB 27 Alpha and 35RS gasoline engines with 5" Engine Rails. Kit includes all hardware to mount the engine as shown in picture.